Extremely Cheap Dorms and many private rooms! Great location, few minutes from the hongik subway and night life area. Family atmosphere, you'll feel like at home. All the facilities are free to use and we'll even share food and drinks. For the security of your belongings we have a new lockers system. You are looking for a great hostel to stay? Then come visit us. This is my 10th guesthouse. 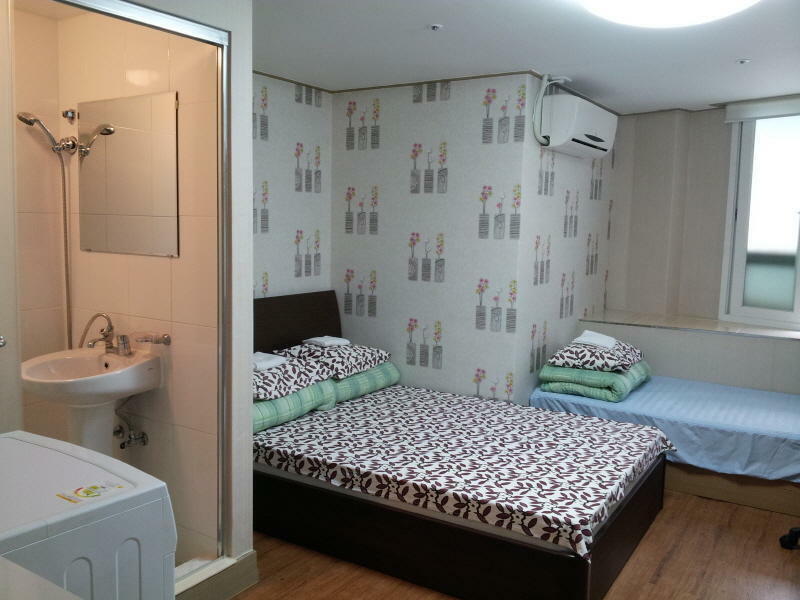 The focus of this guesthouse is to share with everyone what Korea has to offer. food, drinks, friends, heart, everything. We only have one rule here, NO RULES! You can check in & out anytime, drink here with us or go out. You can come and go whenever you please, because I believe in the manners of backpackers. So, we want real backpackers to come here. If you are looking for a guesthouse that offers freedom and a family atmosphere, then come here! So everything in here is new and clean including beds, sheets, pillows and all facilities. It takes 5min from airport bus stop and 7min from subway stop by foot. Located in Hongik University which is very famous for clubs, bars, restaurants and it's art scene. This area is one of the most famous 'Hongik university area' which is filled with girls & guys on every weekend. So if you want to enjoy the fascinating active culture of Korea, must come here. Also it takes 15~20min to Kyungbok palace, Insadong, City hall, Namdaemoon, Dongdaemoon, Seoul N tower, Myungdong, etc. Our staff are very friendly and helpful.We are willing to answer any question you may have. We also have a cook, so whenever you want,you can taste some delicious Korean foodsuch as Bibimbap, Bulgogi, Korean B.B.Q, or Japchae. If you want we can also cook together. This is the best chance for trying real Korean food. We run a travel agency as well. For your convenience, we can help you to book flights and Korean domestic tour's: such as the DMZ tour or a Seoul city tour.You can enjoy an exciting Korean experience. (We can reserve tours of Korea's Demilitarized Zone(DMZ), Panmunjeom, Daily City Tour & Cultural Tour, etc. And we offer free pick-up service for every tour as well). Laundry machine (from 10:00 until 22:00), detergent, iron & board. Individual Lockers, bed linen & warm blankets. Kitchen, kitchen utensils, seasonings, water purifier, refrigerator, microwave oven, etc. Hot shower, hair dryer etc. 4. Get off at 'Kyungnam Wedding Hall' Bus Stop. The bus ride takes about 40minus. 5. After you get off the bus, go across the crosswalk towards Hyundai Car dealer. 6. Once you face HYUNDAI go on your left and go straight until the next intersection. You must see Cafe The Air. 9. On your left side you will see YouYang Hotel then Mapple Coffee. 10. The first intersection after Mapple Coffee you may see Charm & Charm. 11. We are located just in front of Charm & Charm at the 4th floor of the Shin Myung Building. 1. Once you arrive at 'Hongik Univ.' subway station, take EXIT 1. 3. Turn right, Housing Gallery on your right. 4. Go straight and turn left at the next intersection, you'll see two 7-eleven's, and a Paris Baguette at this intersection. 5. Walk for about 400 meters until you reach SEVEN ELEVEN after Mod's hair on your right. Then keep walking about 10 meters. 6. In front of the Hongdae Uncle Residence is Pine Korea building.